Whimsy works in theatre. 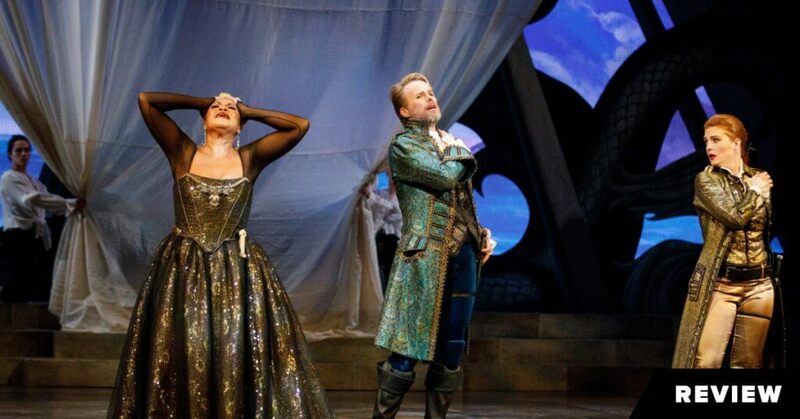 In opera, less often. In The Overcoat: A Musical Tailoring, which opened Thursday at the Bluma Appel Theatre, not quite, despite the determined efforts of a gifted creative team and a well-chosen cast. 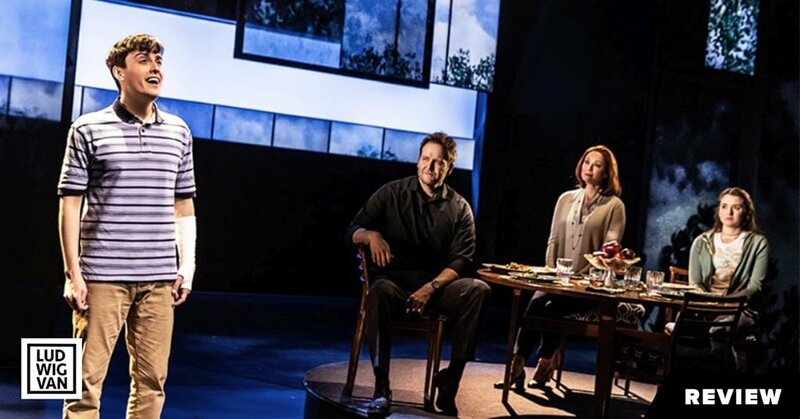 The piece is based, paradoxically, on wordless tour de force brought to the stage in 1998 by veteran director Morris Panych and choreographer Wendy Gorling. Three years ago, Tapestry Opera (co-producers with Vancouver Opera and Canada Stage) matched Panych with the Toronto composer James Rolfe. 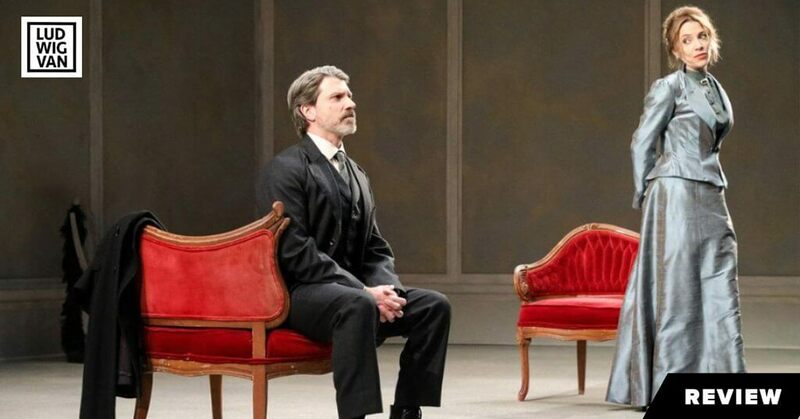 The former produced a light-hearted libretto made mostly of rhyming couplets, the latter an economical score that effectively supports the action but leaves the emotional lives of the characters virtually untouched. Fans of Russian literature will recall that the story is derived from Nikolai Gogol’s 1842 tale of a minor clerk in St. Petersburg who tries to combat his own insecurities and the torments of his fellow workers by replacing his threadbare coat with a custom-made model that he can barely afford. The tone of the story, if ironic, is grim. Some details are preserved, and indeed exploited for comic effect, which turns out to be something of a problem. Why make so much of the tailor’s habit of taking snuff? Elsewhere there are inventions that add only confusion. Why cast the old landlady as a capricious flapper? Peter McGillivray held the stage splendidly in both acts as the garrulous head of the department, but his repetitive exchanges à la Gilbert & Sullivan with his employees did little to advance the story or lead us to a better understanding of the central character. This role, Akakiy, was taken effectively by another baritone, Geoffrey Sirett. Unfortunately, the music rarely lent any human reality to his dilemma. A three-voice female chorus that was meant in part to represent the chilling prospect of madness further distracted attention from the man who mattered most. As for his obsession with numbers and counting, this became a time-consuming cliché before the first act was out. A few things worked. One of the better scenes had Akakiy facing an indifferent pair of policemen – a situation with which we could identify. But too often in this show we were told about life through repeated philosophical bromides (“Nothing lasts forever”) rather than led to such illumination through drama. None of this is to say that Rolfe’s score for a dozen musicians (under the confident direction of conductor Leslie Dala) lacked anything in polish. If the music was low on emotion, it at least had integrity, making maximum use of minimal thematic cells. The crowd seemed to enjoy Rolfe’s appropriation near the end of Beethoven’s Ode to Joy as an ironic comment on Akakiy’s fate. 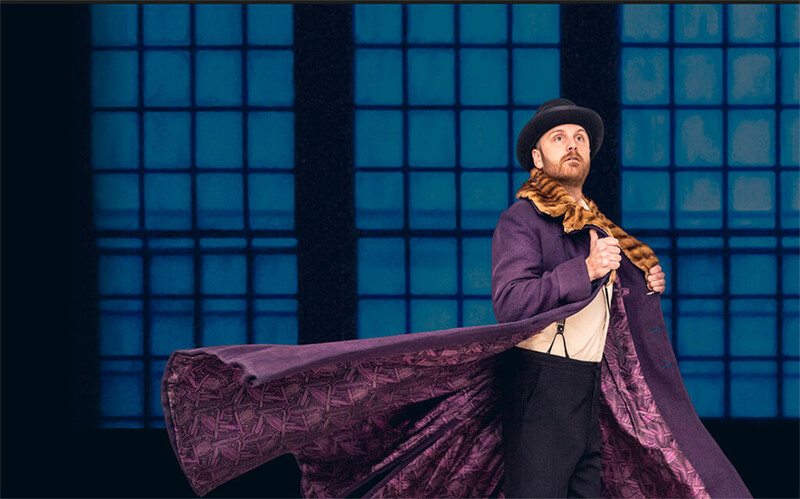 Even if it feels like something less than a full-blooded opera, The Overcoat is a brilliant theatrical enterprise that can be appreciated for the virtuosity with which Panych (also the director) enlivens the stage. The revelation of the garment of the title, which sometimes seems to walk by itself; the evocation of a moving train; the stylized assault on poor Akakiy; the list of stage coups could go on. Ken MacDonald’s sets were smartly proportioned and flexible. Costume designer Nancy Bryant gave us a sumptuous overcoat and more. The Bluma Appel Theatre is a fine setting for chamber opera. Maybe next time.